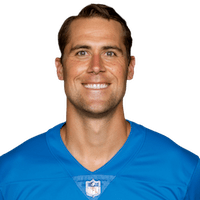 Published: Aug. 24, 2018 at 11:28 p.m.
Detroit Lions QB Matt Cassel throws a dart to wide receiver Bradley Marquez for a 3-yard touchdown catch. Published: Dec. 30, 2013 at 03:42 a.m.
(11:16) (Shotgun) M.Cassel pass short left intended for J.Simpson INTERCEPTED by L.Delmas at DET -6. L.Delmas to DET 36 for 42 yards (M.Asiata). Published: Dec. 29, 2013 at 02:06 p.m.
Minnesota Vikings quarterback Matt Cassel has his pass intercepted by Detroit Lions safety Louis Delmas and returned 42 yards. Published: Sept. 18, 2011 at 11:18 p.m.
(4:46) (Shotgun) M.Cassel pass short right intended for D.Bowe INTERCEPTED by C.Houston at DET 16. C.Houston ran ob at DET 42 for 26 yards (J.Asamoah).